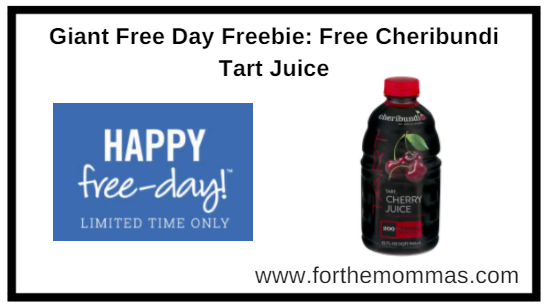 You can score Cheribundi Tart Juice for Free with a coupon at Giant. Tart cherries are the only fruit in the world that contain natural melatonin, known as a ingredient to a good nights sleep. This coupon is good for one FREE Cheribundi 32-ounce Tart Original or Tart Light product. You will need to load the digital coupon by 4/13 and redeem by 4/26.